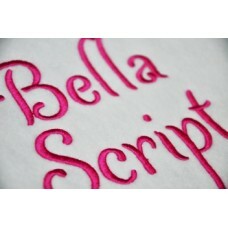 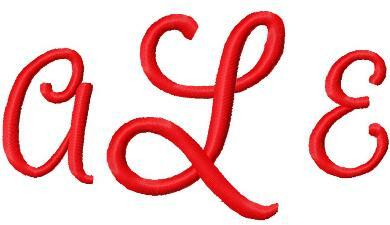 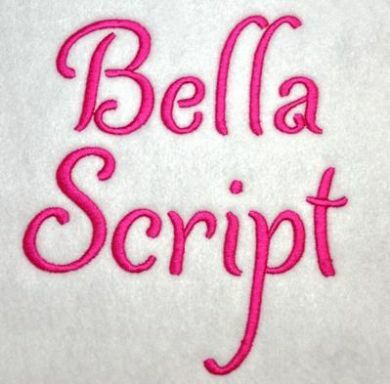 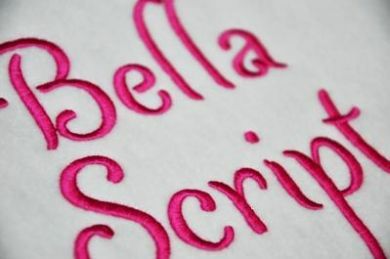 I think this is such a pretty, feminine font, a must have for clothing, burpies, bibs! 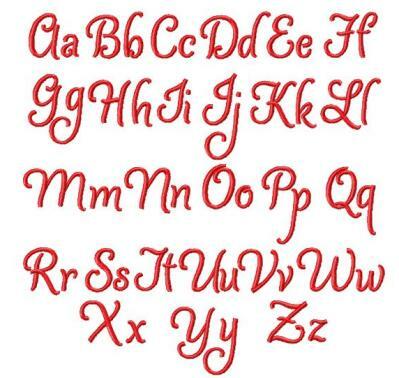 And because it's thick and bold, it also perfect for using on towels, totes and blankets too! 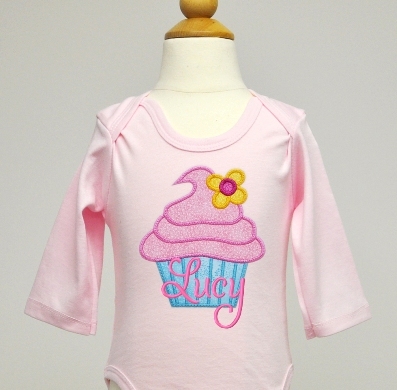 And it adds so much to applique designs, don't you think? 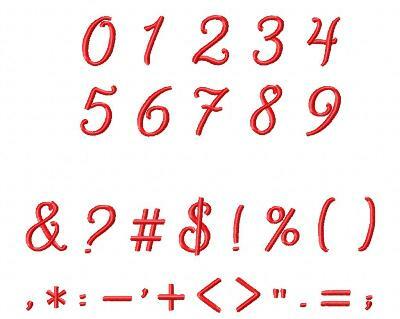 Lovely letters, numbers and punctuation included in 6 Sizes - there are 492 files in this package! All sizes feature beautiful satin stitching.